Amsterdam, NL – Stereo vision allows individuals to perceive depth differences in their surroundings. Important to pedestrians and drivers, for example, depth perception plays a key role in many sporting activities. If the ability to accurately determine the distance and speed of a fast-moving object can be improved, athletes have the potential to improve their performance. In a new study published in Restorative Neurology and Neuroscience, researchers found that by training athletes using repetitive stereoscopic stimuli, their reaction speed to those stimuli could be significantly improved. with one ball appearing to be closer to the observer. reaction and the “processing time” could be differentiated. 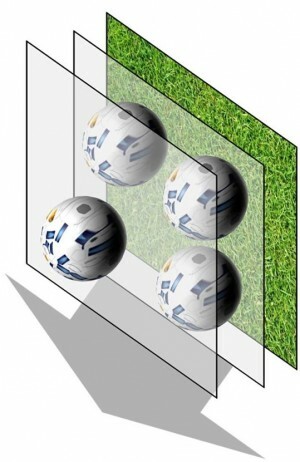 Caption: Illustration in 3D of the dynamic stereoscopic stimulus: the target objects are constantly moving towards the observer. small distances, only those with excellent dynamic stereo vision would react quickly. decreased their processing time, and that this ability was persistent for six months after the training ended. tested again after six months, their processing times were the same as in their last training session. 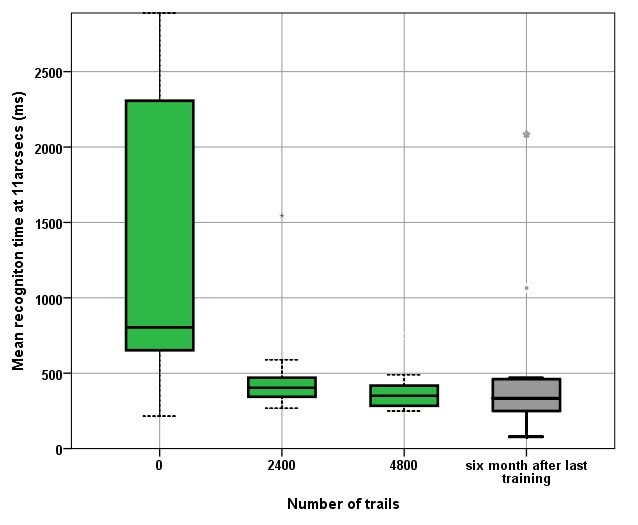 Caption: Mean stereo processing time at 11 arc secs disparity difference of all 15 subjects by number of trials and six months after the last training as measured with the c-DIGITAL VISION TRAINER® test. therapies that might improve this condition would be welcome.